How do buyers and target companies allocate the risk of financing failure when negotiating debt-financed public M&A deals? 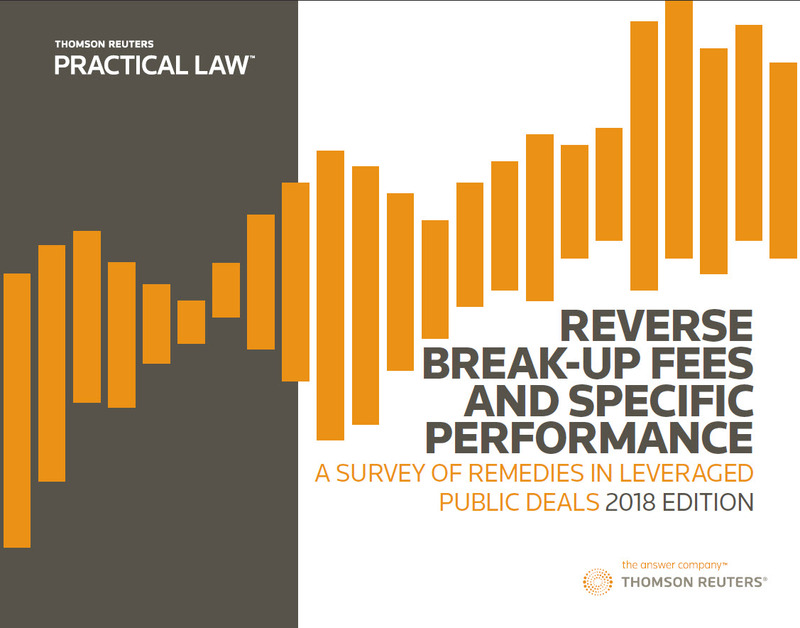 Find out in Practical Law's ninth annual comprehensive study of remedies available to public target companies for a buyer’s failure to close the transaction due to a breach of the agreement or a financing failure. Examining how deal characteristics such as the size of the transaction and the profile of the buyer affect the negotiation of enforcement and monetary remedies. 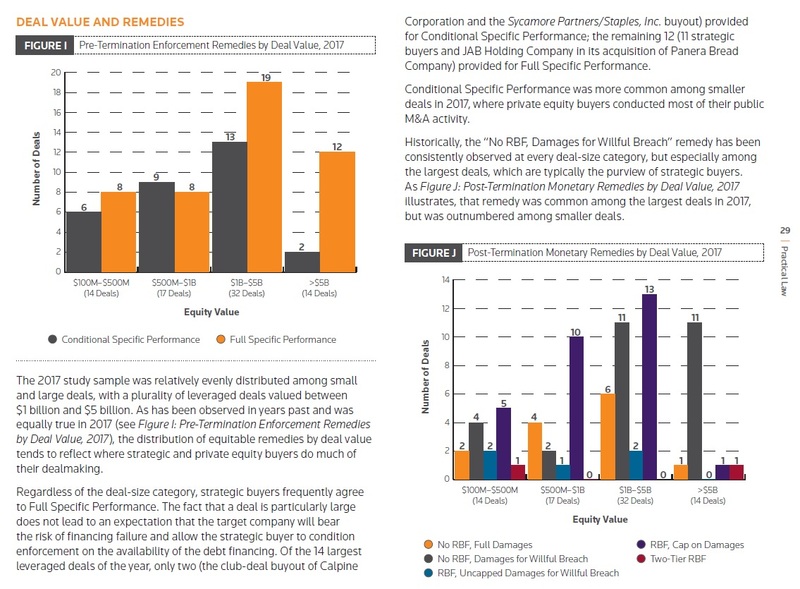 Reviewing the sizes of reverse break-up fees in leveraged deals as percentages of deal value and as multiples of the target company's break-up fee, and comparing reverse break-up fees that cap the damages payable by the buyer against those that do not. Analyzing other techniques for allocating risk in debt-financed transactions, including the buyer's financing covenants and the provisions included in merger agreements for the benefit of the lenders. With the benefit of nine editions, the study provides perspective on trends in public M&A deals by comparing results for 2017 against previously surveyed years.